Are you tired of all the adopting out processes? You dont want hundrets of applications for your UC but just one person who would really love exactly this pet? Then this might be the perfect page for you! On this site you can find user who really want the listed UCs. They have build a project page with hours of work in it. Take a look at the wishlist and find the perfect home for your pet. This is an UC Dream Directory, where everyone can add their UC Dreampets. You can also list your UFA UCs. ● 1 UFA UC found a new home - UC grey Cybunny!! ● Congratulations - 2 wishes came true today! ● Added 1 UFA UC - UC faerie Lenny! ● Added 1 UFA UC - UC halloween Lupe! ● Added 1 UFA UC - UC tyrannian Skeith! ● Added 1 UFA UC - UC grey Cybunny! ● 2 UFA UCs found a new home - UC darigan Shoyru and UC maraquan Gelert!! ● 2 UFA UCs found a new home - UC faerie Kougra and UC darigan Bori!! ● Congratulations - 1 wish came true today! ● Added 1 UFA UC - UC maraquan Gelert! ● 2 UFA UCs found a new home - UC mutant Scorchio and UC baby Kougra!! ● Added 3 UFA UCs - UC faerie Kougra, UC mutant Scorchio and UC darigan Bori! ● Added 1 UFA UC - UC baby Kougra! ● 2 UFA UCs found a new home - UC grey Ixi and UC baby Kougra!! 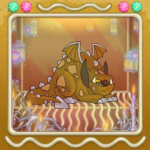 ● Added 1 UFA UC - UC darigan Shoyru! ● 1 UFA UC found a new home - UC darigan Cybunny!! ● Added 1 UFA UC - UC grey Ixi! ● 1 UFA UC found a new home - UC coconut Jubjub!! ● Congratulations - 3 wishes came true today! ● 1 UFA UC found a new home - UC darigan Ixi!! ● 3 UFA UCs found a new home - UC desert Aisha, UC faerie Ixi and UC halloween Lupe!! ● Added 1 UFA UC - UC coconut Jubjub! ● Added 1 UFA UC - UC darigan Lupe! ● 1 UFA UC found a new home - UC usukiboy Usul!! ● Added 2 UFA UCs - UC darigan Ixi and UC faerie Ixi! ● 1 UFA UC found a new home - UC darigan Gelert!! ● Added 2 UFA UCs - UC desert Aisha and UC darigan Cybunny! ● 1 UFA UC found a new home - UC faerie Xweetok!! ● Congratulations - 4 wishes came true today! ● 1 UFA UC found a new home - UC mutant Buzz!! ● 1 UFA UC found a new home - UC mutant Lupe!! ● 1 UFA UC found a new home - UC ice Bruce!! ● 1 UFA UC found a new home - UC mutant Scorchio!! ● Added 1 UFA UC - UC mutant Scorchio! ● 2 UFA UCs found a new home - UC baby Eyrie and UC halloween Lupe!! ● Added 1 UFA UC - UC mutant Buzz! ● 1 UFA UC found a new home - UC darigan Hissi!! ● 1 UFA UC found a new home - UC darigan Kau!! ● 1 UFA UC found a new home - UC grey Wocky!! ● Added 3 UFA UCs - UC baby Eyrie, UC halloween Lupe and UC faerie Xweetok! ● 1 UFA UC found a new home - UC desert Kau!! ● Added 1 UFA UC - UC usukiboy Usul! ● 1 UFA UC found a new home - UC tyrannian Skeith!! 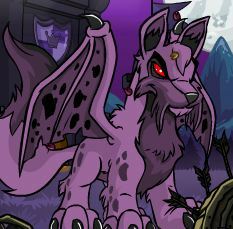 ● Added 1 UFA UC - UC darigan Gelert! ● 3 UFA UCs found a new home - UC grey Lupe, UC darigan Peophin and UC faerie Meerca!! ● Added 1 UFA UC - UC darigan Kau! ● 1 UFA UC found a new home - UC mutant Hissi!! ● Added 1 UFA UC - UC mutant Hissi! ● Added 1 UFA UC - UC grey Wocky! ● Added 4 UFA UCs - UC darigan Peophin, UC desert Kau, UC tyrannian Skeith and UC faerie Meerca! ● 1 UFA UC found a new home - UC sponge Koi!! ● 2 UFA UCs found a new home - UC mutant Meerca and UC baby Eyrie!! ● Added 3 UFA UCs - UC ice Bruce, UC coconut Jubjub and UC grey Lupe! ● Added 1 UFA UC - UC mutant Meerca! ● Added 1 UFA UC - UC darigan Hissi! ● 1 UFA UC found a new home - UC robot Gnorbu!! 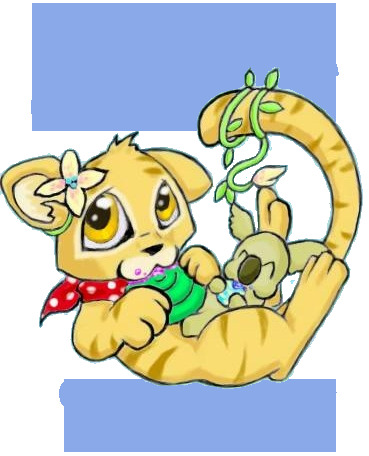 ● 2 UFA UCs found a new home - UC faerie Kau and UC baby Kougra!! ● Added 1 UFA UC - UC robot Gnorbu! ● Added 1 UFA UC - UC faerie Kau! ● Added 2 UFA UCs - UC baby Eyrie and UC sponge Koi! ● Added 2 UFA UCs - UC baby Kougra x2! ● 1 UFA UC found a new home - UC usukigirl Usul!! ● Added 1 UFA UC - UC usukigirl Usul! ● 1 UFA UC found a new home - UC darigan Scorchio!! ● 1 UFA UC found a new home - UC plushie Bruce!! ● Added 1 UFA UC - UC darigan Scorchio! ● 2 UFA UCs found a new home - UC baby Kougra and UC halloween Lupe!! ● Added 2 UFA UCs - UC baby Kougra and UC halloween Lupe! ● 1 UFA UC found a new home - UC faerie Pteri!! ● 1 UFA UC found a new home - UC faerie Lenny!! 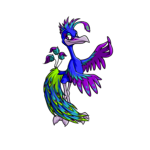 ● Added 1 UFA UC - UC faerie Pteri! ● Added 1 UFA UC - UC plushie Bruce! ● Added 1 UFA UC - UC mutant Lupe! ● Added 2 UFA UCs - UC grey Techo and UC mutant Lupe! ● 1 UFA UC found a new home - UC halloween Lupe!! ● 1 UFA UC found a new home - UC grey Lupe!! ● 1 UFA UC found a new home - UC baby Kougra!! ● Added 2 UFA UCs - UC halloween Lupe and UC grey Lupe! ● 1 UFA UC found a new home - UC faerie Kougra!! ● 1 UFA UC found a new home - UC grey Jubjub!! ● Congratulations - 7 wishes came true today! ● 4 UFA UCs found a new home - UC royalboy Draik, UC grey Techo, UC baby Kougra and UC mutant Meerca!! ● 2 UFA UC found a new home - UC faerie Ixi and UC darigan Bori!! ● Deleted 1 UFA UC - UC grey Jetsam! ● Added 2 UFA UCs - UC plushie Kougra and UC grey Lupe! ● 1 UFA UC found a new home - UC desert Aisha!! ● Added 1 UFA UC - UC faerie Kougra! ● 2 UFA UC found a new home - UC grey Grundo and UC darigan Scorchio!! ● 1 UFA UC found a new home - UC robot Blumaroo!! ● It's time to celebrate over 9000 visitors! ● 1 UFA UC found a new home - UC darigan Lupe!! ● Added 1 UFA UC - UC grey Jubjub! ● 3 UFA UCs found a new home - UC faerie Ixi, UC faerie Kau and UC faerie Shoyru!! ● Added 2 UFA UCs - UC faerie Kau and UC faerie Ixi! ● It's time to celebrate over 8000 visitors! ● Added 1 UFA UC - UC desert Aisha! ● 1 UFA UC found a new home - UC faerie Wocky!! ● Added 2 UFA UCs - UC grey Techo and UC faerie Shoyru! ● 2 UFA UCs found a new home - UC tyrannian Bori and UC grey Ixi!! ● It's time to celebrate over 7000 visitors! ● 2 UFA UCs found a new home - UC mutant Usul and UC grey Lupe!! ● Added 5 UFA UCs - UC darigan Scorchio, UC grey Grundo, UC robot Blumaroo, UC darigan Lupe and UC grey Jetsam! ● Added 1 UFA UC - UC faerie Wocky! ● 2 UFA UC found a new home - UC darigan Jetsam and UC mutant Lupe!! ● It's time to celebrate over 6000 visitors! ● 1 UFA UC found a new home - UC mutant Meerca!! 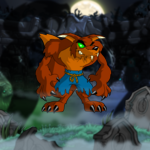 ● 1 UFA UC found a new home - UC halloween Lupe! ● 1 UFA UC found a new home - UC darigan Kau! ● It's time to celebrate over 5000 visitors! ● 1 UFA UC found a new home - UC robot Ixi! ● 1 UFA UC found a new home - UC faerie Peophin! ● It's time to celebrate over 4000 visitors! ● 1 UFA UC found a new home - UC baby Eyrie! ● 1 UFA UC found a new home - UC mutant Meerca! 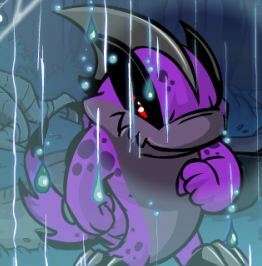 ● 1 UFA UC found a new home - UC darigan Grarrl! ● 2 UFA UCs found a new home - UC baby Eyrie and UC grey Peophin! ● 1 UFA UC found a new home - UC desert Kau! ● 3 UFA UCs found a new home - 2x UC darigan Lupe, UC Halloween Lupe! ● It's time to celebrate over 3000 visitors! ● Added 2 new Affiliates. Check out the UC Trading Guide at ~here~ and the BD to UC Trading Guide at ~here~. ● Added the category UFA UCs - now you can find your dreamowner/dreampet here, all in one place! ● It's time to celebrate over 2000 visitors! ● Congratulations - 6 wishes came true today! ● It's time to celebrate over 1000 visitors! ● UC Dream Directory was created! ● Your account has to be at least 4 months old to adopt a UC. ● If your account is inactive for over 30 days, your wish will be removed. ● If your account is frozen or hacked, your wish will be removed. ● If you want get listed, you need to tell me (smokeytr) your contactaccount, your UC Goal(s) and project petpage(s). 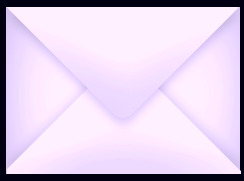 ● If your wish comes true, please neomail me to delete your wish from the wishlist. ● I can't guarantee you that you will get your UC Dream. ● Max. 3 UC Dreampets per User. ● Please tell me if you changed your mind and want another UC Dream. ● Please only list Dream UCs you plan to keep - not as trading fodder. ● I only list UC Dreampets. No converteds, BDs, RW/RN Pets or UFT UCs. ● You can code yourself or using premades for your project page - both is fine. ● If you want to, I can list different Project Pages for each of your Dream UC. ● Please tell me if your project petpage moved to another PP. ● If you really want this pet, you have a project PP for it! Please read the rules carefully, before adding a wish. Gender Female or Male sounding name? Or leave blank if you don't care. Project Petpage If you really want this pet, you have a project PP for it! Please note I own none of these pets. Feel free to apply for any pet. You can list as many UFA UCs as you want.